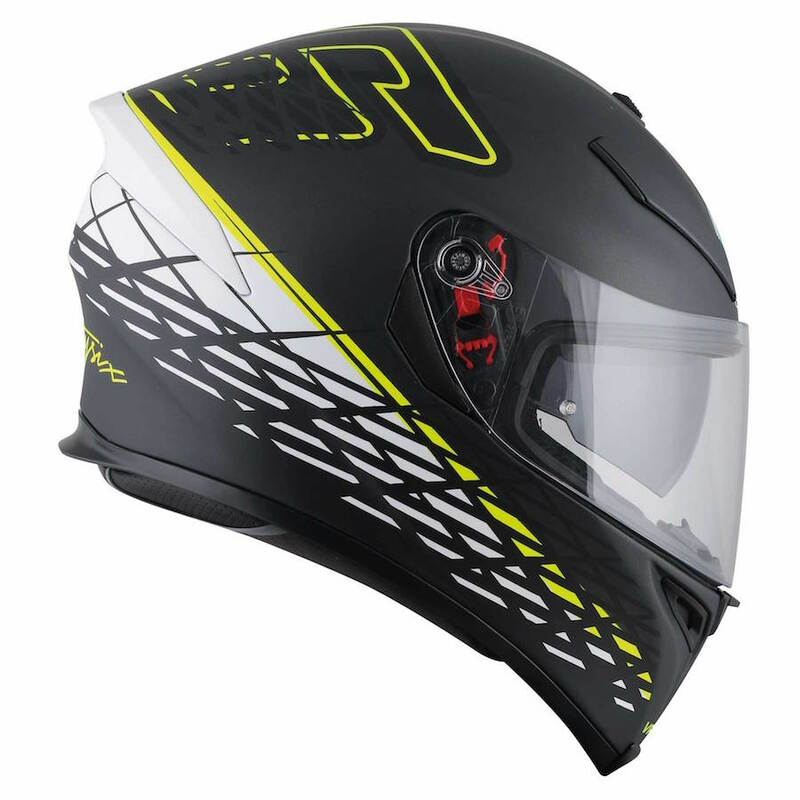 We’re not all in a position to throw in excess of a thousand bucks at a top-level lid, and everyone should do their very best to go a rung or two up from a brand’s base-model polycarbonate number, so I went in search for a lid that could be lots of things to lots of people. my world. Besides, there are 14 plain, replica or graphic designs available, so you have plenty of choices. What is important is the price. It starts at $529 for a plain colour. 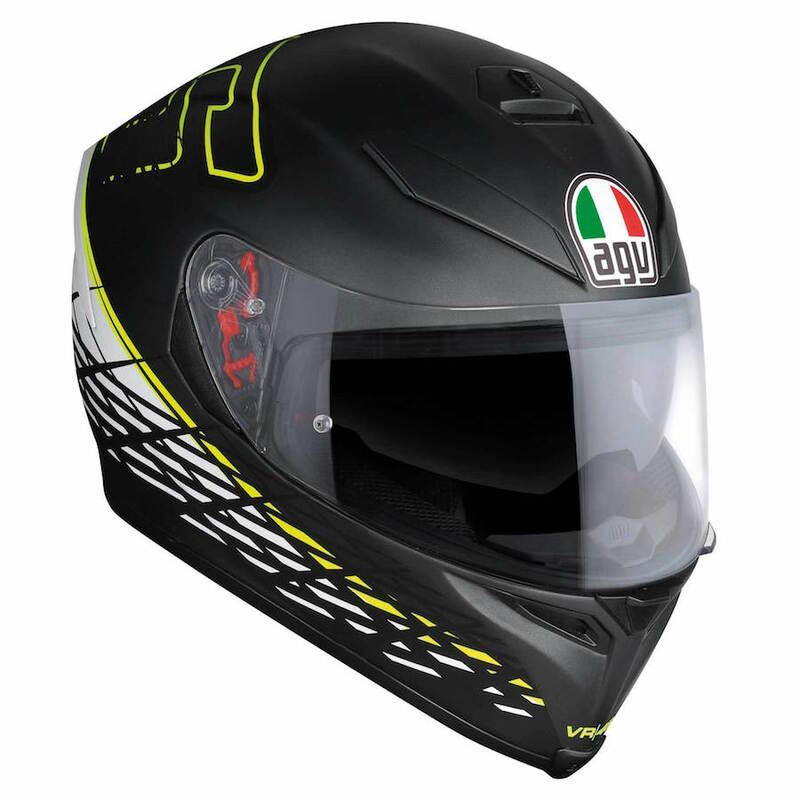 The shell is made from a blend of carbon, aramid and fibreglass, it uses a double-D ring fastening system – I don’t trust those clips – and the visor is 3.3mm thick. 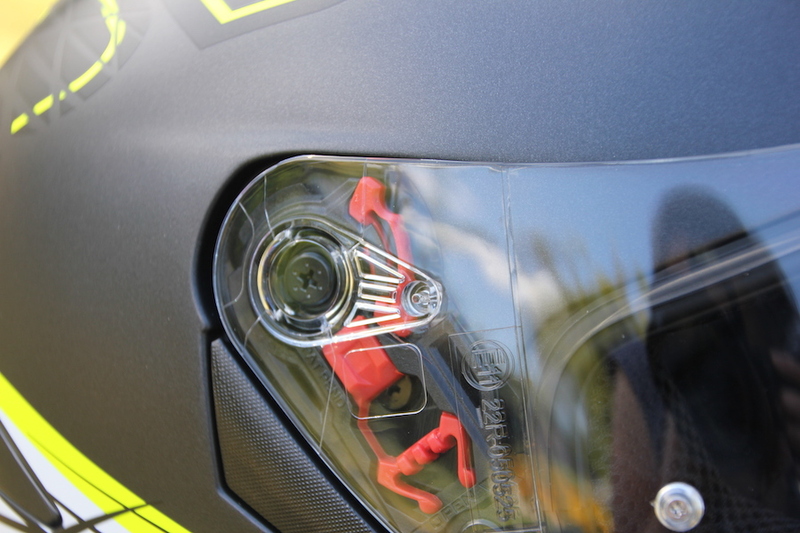 Speaking of the visor, the helmet comes with clever interchangeable clips that sit within the visor mount and let you adjust how many steps it takes before it’s ‘cracked’ and fully open. 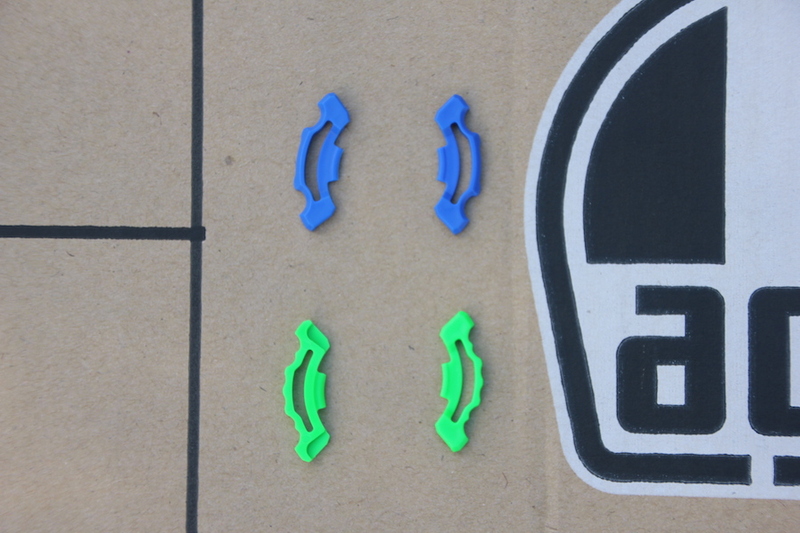 The standard clip offers a four-step opening sequence, but you get the option to switch it between a simple two-step affair or one that gives you six different increments. 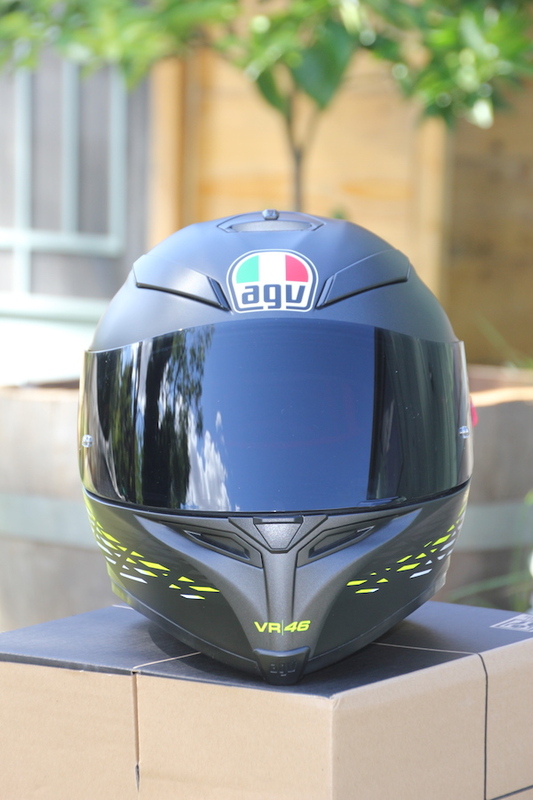 First impressions are it’s light (about 1400g), it has a wide eye-port, it’s comfortable, and the vents actually work. And you get a Pinlock insert thrown in. Stay tuned to see how it holds up in all sorts of scenarios and conditions.